Jehan Gordon-Booth, state representative for Illinois’ 92nd district, speaks at the announcement of the Restorative Justice and Safe Communities Committee. A Peoria State Representative is providing guidance to the transition team of Governor-elect JB Pritzker. Jehan Gordon-Booth will co-chair the newly-formed Restorative Justice and Safe Communities Committee. The committee is charged with advising the incoming administration on criminal justice reform and public safety. Gordon-Booth, who represents the 92nd District, says the state’s criminal justice system is broken and must be fixed. She believes greater collaboration and state agency accountability are necessary for community safety. Cook County State’s Attorney Kim Foxx and Illinois Congresswoman Robin Kelly will join Gordon-Booth in leading the 42-member Restorative Justice and Safe Communities committee. 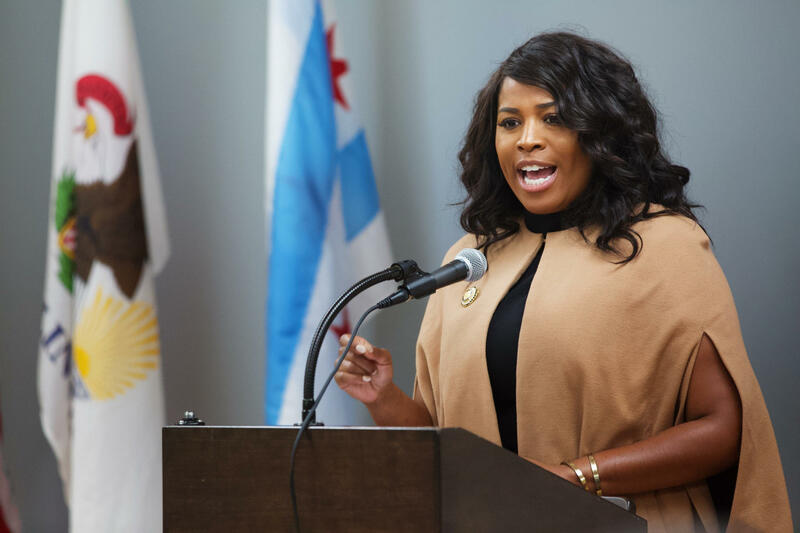 It will work as part of the Chicago-based Safer Foundation, and is one of eight working groups established by the incoming Pritzker-Stratton administration.